Roy A. Hammond and Doug Andrew. 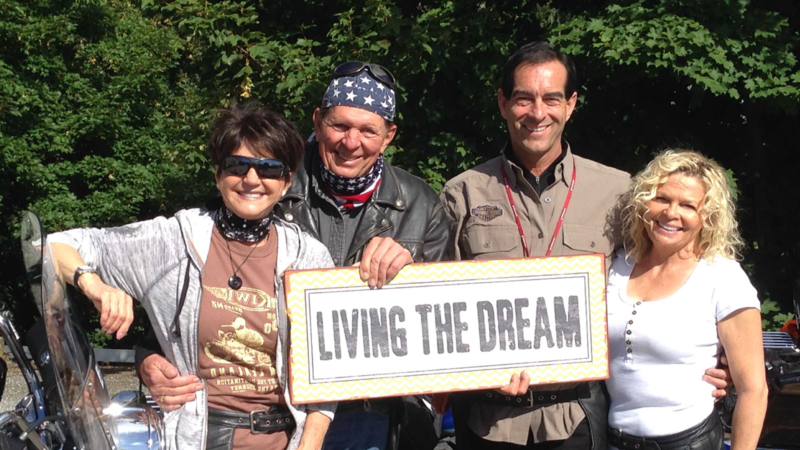 While very different—Roy built a successful career as a dentist and philanthropist, and Doug has worked more than 40 years as a financial strategist, best-selling author, worldwide speaker and abundant living coach—these two brothers-in-law share a passion for the joy of riding, and life. Our purpose with this book is simple—to celebrate life and to lift others. Whether that’s in sharing lessons learned on the road of life, or helping with medical and humanitarian aid in third-world countries … thank you for joining us on this journey!